The “Cabinet Kitchen” is constructed from modular components that are linked together in a frame of (American white) oak. The wooden frame and tall legs create a light cupboard-like appearance. 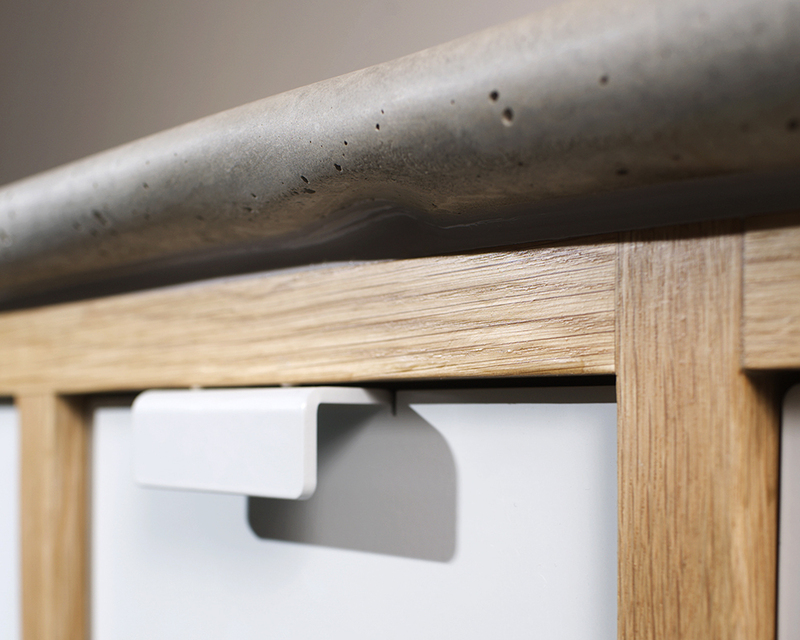 ​ The doors and drawer fronts are made from 4mm bent and powdercoated aluminum. 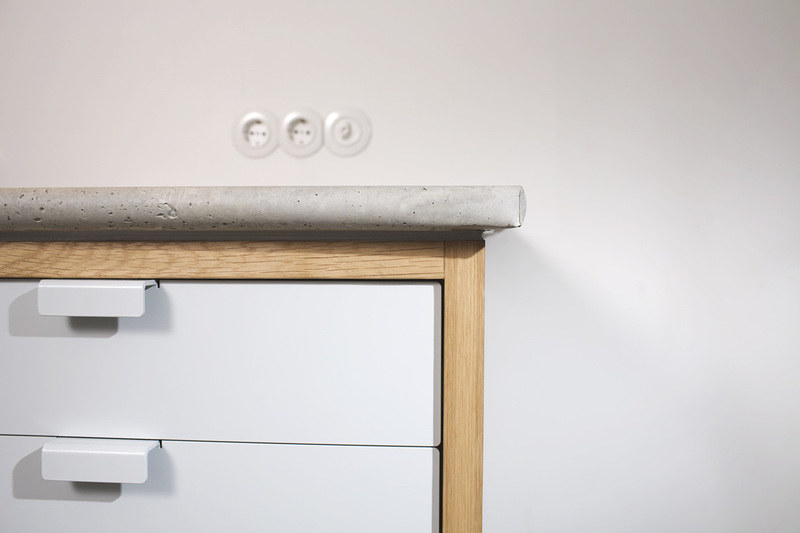 The concrete countertop is poored in a bag, giving the brims a natural rounded finish. 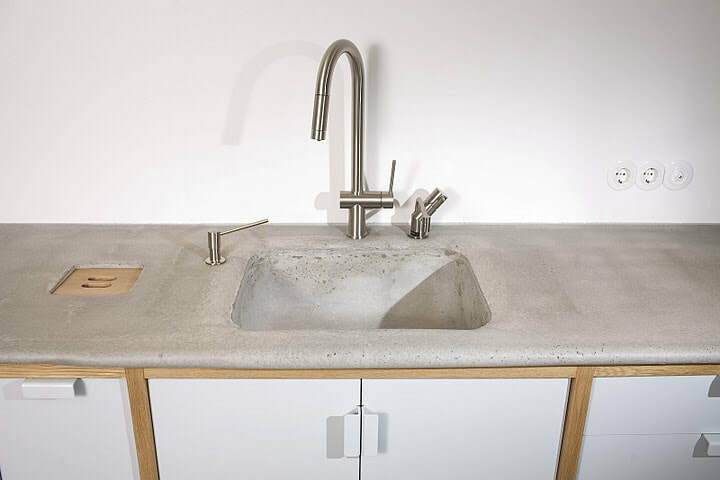 The sink is incorporated in the concrete cast. 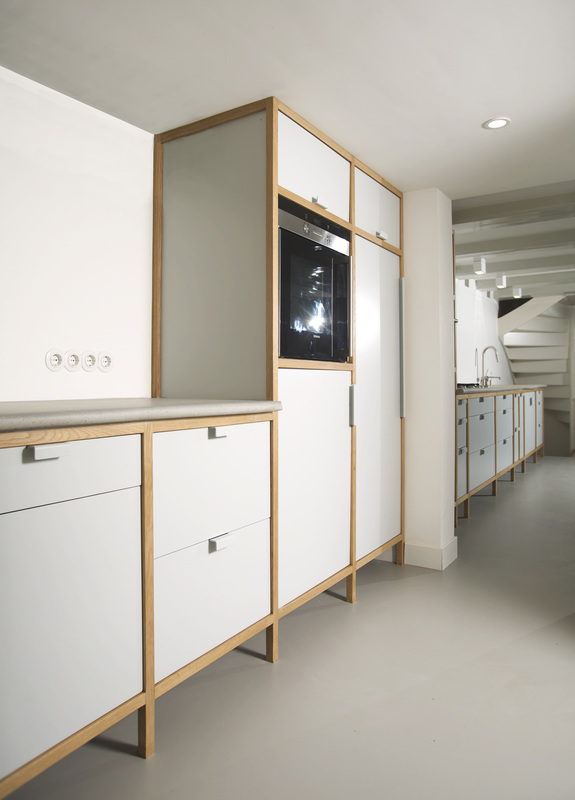 The modular kitchen is made to measure for each location and can be finished in all RAL-colors. 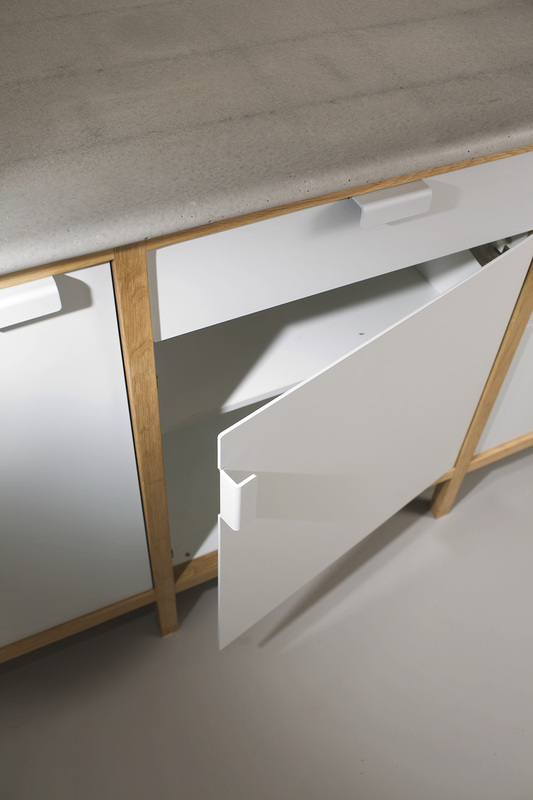 Also available as cabinet / bespoke storage system.